The Forestry Hall of Fame was established in 2004 as a means of recognizing and honoring the significant achievements of individuals who have attained prominence and distinction in any field of forestry, and those who have made a major contribution to the development and advancement of forestry in Nova Scotia. Candidates may be chosen on the basis of their contributions in the field of Forestry Education, Research, Protection, Utilization, Harvesting, Policy or Silviculture but is not limited to these fields. Induction ceremonies are held during the Forest Professionals Annual General Meeting. Below are the names of the individuals who have been voted into the RPFANS Hall of Fame. You will also see some notes regarding the extraordinary work they have each participated in throughout their respective careers. 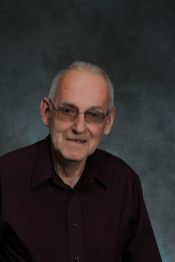 John Roblee has been integral to the organization and promotion of small private woodlot owners in Nova Scotia. As a citizen and landowner, he has worked tirelessly to further the rights and management capacities of owners of forest land. His first foray into private land forest management started during the establishment of community-based Group Ventures - woodlot owner controlled cooperatives. John's tenacious and relentless efforts created the Group Venture Association which developed technical and financial assistance and marketing savvy for more than a dozen groups. John also represented woodland owners o federal and provincial Forest Technical Advisory Committees, championing meaningful criteria and standards for forest improvement work on small woodlots. He served as Vice President of the Canadian Federation of Woodlot Owners and was one of it's first board members. 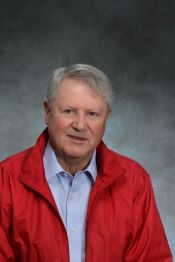 John was instrumental in establishing the Association for Sustainable Forestry and has been a board member with the Nova Forest Alliance (Model Forest), Forest Products Association of NS, and the NS Primary Forest Products Marketing Board. 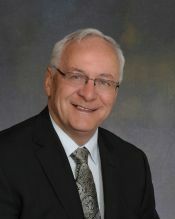 Russ (Russell) Waycott, RPF, began his career with Nova Scotia Pulp following graduation from the University of New Brunswick. 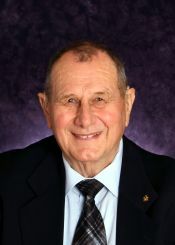 Russ directed the woodlands engineering, operations and forest management efforts and incorporated research and new technologies for mechanical harvesting and silviculture. These efforts improved production, safety and competitiveness while leading the industry forward to include improved considerations for water, soils, habitat, social and cultural values, conservation and long-term forest health. Russ led the woodlands Unit to become the first forest company in Canada to have an ISO 14001 Registered Environmental Management System, the first company in North America to have both CSA and SFI forest certifications and the first company to have the FSC Maritime Standard for sustainable forest management. Russ supported and implemented many initiatives including the Atlantic Master Logger Program, First Nations involvement in decision-making and participation in the company's harvesting and silviculture, and private land silviculture funding with the NS Landowners and Fibre Producers Association. Russ has served on many boards including President of both the NS Forestry Association and Forest Products Association of NS. 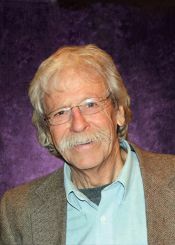 Frederick (Fred) Wellings, soon after graduation from the University of New Brunswick, quickly became synonymous with forest inventory in Nova Scotia. 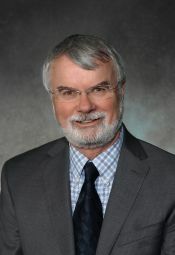 As Manager and then Director of the Nova Scotia Department of Natural Resources Forest Inventory section Fred oversaw the design and implementation of the province's continuous forest inventory program. Over the years the program was revised and incorporated the newest technology and science for estimating Nova Scotia's forest resource. The early establishment of the Permanent Sample Plot (PSP) system places the province with some of the oldest continuously inventoried forest plots in Canada. The data from these PSPs continues to be used extensively in growth and yield models and wood supply calculations. Later as computer technology and capacity advanced the scope of forest inventories Fred directed the Department into the world of Geographic Information Systems GIS) and digital aerial photography. Fred also guided the Department through Metric conversion and the introduction of the Scaler's Act, Nova Scotia Timber Loan Board and the Nova Scotia Registry of Buyers. With attention to clear, science based goals, a contagious enthusiasm for work, and a wonderful sense of humour Fred would tend to defer any recognition to the loyalty and long service he received from the many technicians, foresters, photo interpreters, cartographers and camp cooks who all contributed to the successful inventory of Nova Scotia's woodlands. Dirk van Loon – author, journalist, and naturalist – has provided Atlantic Canadians a forum for the multitude of voices and values emanating from the region's forests, as publisher of the bimonthly magazine Atlantic Forestry Review. For over 20 years, Dirk's passion for local, rural stories, and his grassroots approach, have informed and educated woodland owners, forest professionals, outdoor enthusiasts, and anyone interested in understanding the variety of issues influencing forestry. Dirk has worked tirelessly to produce clear and concise articles that will reach a wide readership. He credits a dedicated staff representing the regional interests as being key to the success of his Liverpool company, DvL Publishing, which started with Rural Delivery in 1976. Atlantic Forestry Review is filled with contemporary issues, useful information, and entertaining tales of times gone by. Dirk has always been interested in the stories that woodlot owners wish to tell: how they manage their properties and the innovation that often accompanies their successes. The magazine encompasses a complex, multi-billion dollar industry, and makes it comprehensible in the form of engaging, readable news. Dirk has also been active in promoting forest education through the creation of the Harrison Lewis Centre in 2008, which provides a field classroom and laboratory for research groups, courses, workshops, seminars, and a variety of presentations related to rural environments and natural history. Dirk's career attests to a life-long love of our forests and an appreciation for the forest industry. He has been dedicated to providing information, thoughtful commentary, a space for public discourse, and a greater awareness of the importance of forests to our Maritime way of life. David (Dave) F. Barrett, lumberman and businessman, has spent a career devoting his time and energy to the promotion of forest management in Nova Scotia. Dave joined the family forestry company when he graduated from high school and along with his brothers; owns and operates Barrett Lumber Company. He has made a longstanding commitment to the industry through service to groups such as the Forest Products Association of Nova Scotia, the Wood Products Manufacturing Association of Nova Scotia, Nova Scotia Voluntary Planning Committee and the Nova Forest Alliance. Dave has always expressed his passion for the woods by speaking up and speaking out to defend the rights of lumber producers. He has been an engaged and committed citizen, contributing to various efforts for the betterment of his community. His belief that the best solutions are found by working with the community led to the creation of the "Family Forestry Stewardship Agreement" which allows responsible individuals and ATV users access to Barrett Lumber woodlands. Dave also took a lead role in developing the protocol to allow the transport of sawmill chips from the brown spruce longhorn beetle quarantine zone to pulp mills thereby maintaining a critical component of the industry. Dave has used his career to promote a shared responsibility of forest stewardship between landowners and community and continues to be a voice for the forest industry in Nova Scotia.